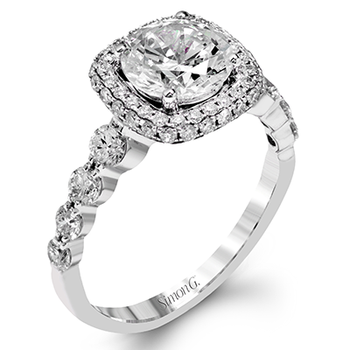 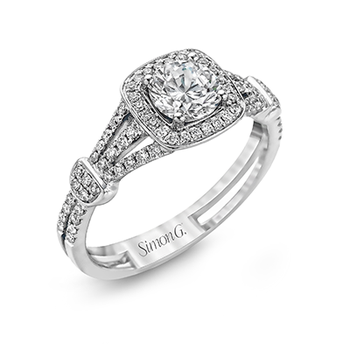 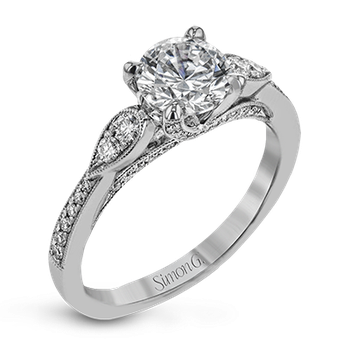 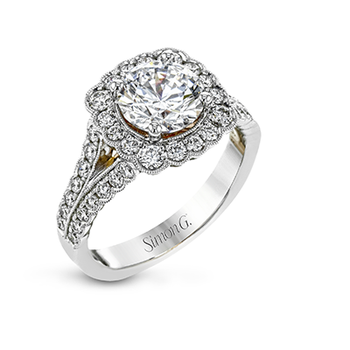 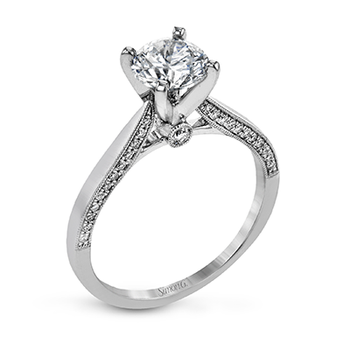 From the Seasons by Shelly Purdy collection, a lily blossom setting is the focal point of this diamond-set knife-edge engagement ring. 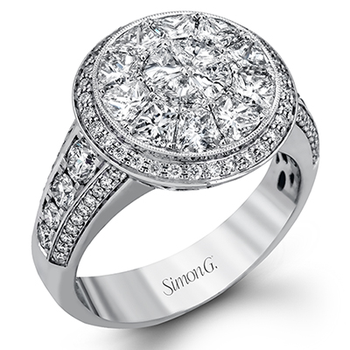 Hand crafted in 18k Pure White™ gold, this scintillating piece features a round brilliant-cut Canadian centre diamond in a floral setting with a double row of diamonds in the band. 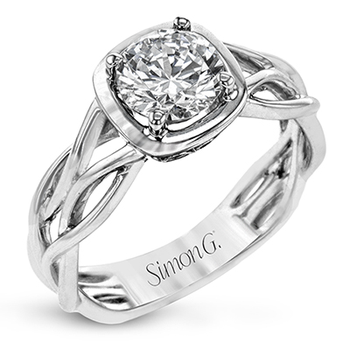 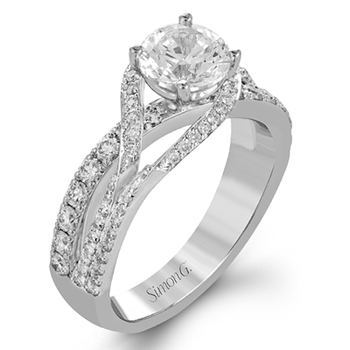 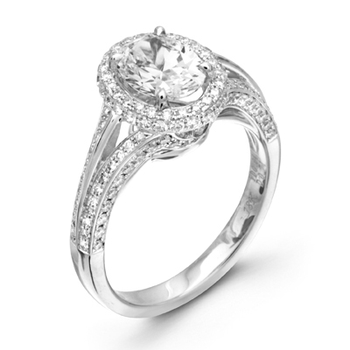 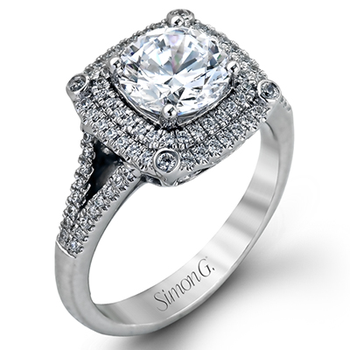 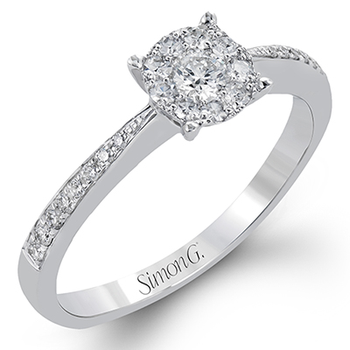 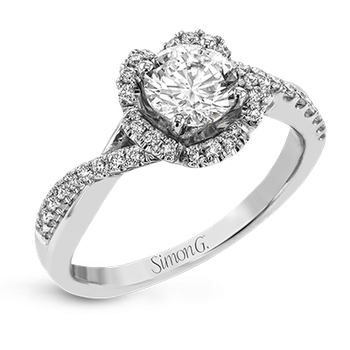 Available with a total diamond weight of 0.97 and 0.77 carats.